In the spirit of Halloween weekend, here’s my review of Bram Stoker’s Dracula. The level of research and detail that went into Stoker’s portrayal of Count Dracula (aka Vlad the Impaler) took several years and it shows. Stoker’s contemporaries, and a few predecessors, had written vampire novels with its own spin, but none were as popular as his. First of all, the story is written as a collection of letters, audio recordings, memos and diary entries giving the reader the vantage point of several characters: Mina, Lucy, Jonathan Harker, Dr. John Seward, and in some small degree, the infamous Dr. Van Helsing. Although I suspect Van Helsing’s character lacked a diary because Stoker probably thought being described through the eyes of his more passive characters added to the mystique of Van Helsing. Dracula starts out with young Jonathan Harker being invited by the Count to his Castle in Transylvania to be his solicitor (lawyer), and to help him with purchasing property in England. At first the Count is most gracious and spends hours with Jonathan talking to him about his home country. The Count appears as an old aristocratic man who is interested in one last adventure outside of his home country, but later the reader discovers, through Jonathan, that “the old man has grown young!” Unfortunately for Jonathan, things take a turn for the strange when he realizes that all of the doors in the castle are locked, and he is restricted to his bedroom. Jonathan protests and threatens to leave the castle in the middle of the night, but realizes that the pack of wild wolves that howled every night outside the castle were controlled by the Count. That brings us to Lucy and Mina, Jonathan’s fiancé back in the United Kingdom, who he tries desperately to get a correspondence to once he realizes he is a prisoner in the Count’s castle. Mina and Lucy are ladies-in-waiting. Mina had already been betrothed to Jonathan Harker before his trip east and Lucy, a fiery redhead, is promised to Arthur, but has two other engagement offers from Quincy and Dr. Seward. This completes the full circle of friends and love quadrangles that drive the “B Story” of Dracula. If it weren’t for these people who were loosely tied together by the two women and Dracula, then there wouldn’t be a Van Helsing to speak of. It is wonderful to see how Stoker weaves these stories together to bring us to the ultimate climax. Interspersed throughout the story is the teased romance (ah ha! This is when chivalry was alive and well), and the strong female voices of Mina and Lucy, was the imminent threat that is Count Dracula who slowly makes his way to London with the intent to stalk the city and feed. Jonathan Harker knows this and leaves the reader on the edge of their seat wondering how they’ll make it back to London to warn everyone of Dracula’s evil plot! Oh, but that’s when one more brief letter to Mina by way of a Romanian nun (oh what surprises the letters hold!) about Jonathan’s terrible “condition” and that she is to come to him at once and be married. Here’s where the “B story” takes a turn. One of the very important and central characters is infected, but you get insight into the turning through the character’s diary. Dots are connected and the fantastic world of London is turned upside down when all of the characters converge to track down and kill Dracula before he infects anymore. Throw in some choice settings like Dr. Seward’s insane asylum as a “safe haven” for Mina, and creepy graveyards and you’ve got a perfect picture of Gothic London. 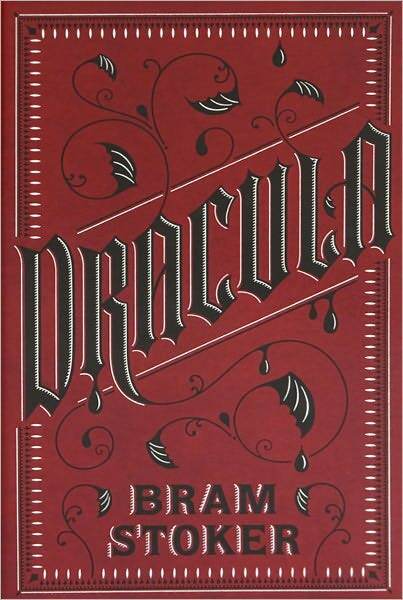 It has been more than one hundred years since the initial printing of Dracula in 1897, and the book is still a classic. It has inspired so many vampire spin-off movies and television shows, created a foundation for bestselling authors like Anne Rice and Stephanie Meyer, and gone through several scholarly reviews. It is very rare that genre fiction stands the test of time, but when it does, it’s not because the conventions lasted, it’s because the writing was above average, and the story itself was unmatched. Stoker’s mastery of story structure — flashing between POV characters via diary entries, letters, memos and newspaper clippings — was flawless. For the reader, the story was like a case that needed to be solved. Yes, yes, the reader knows how the story ends, but they still don’t know how. It’s an emotional roller coaster ride with each character as the reader puts some of the puzzle pieces together. Even though the reader knows that some characters have the answers to the questions in one character’s head, the reader is still waiting to see when they’d find out where the puzzle piece fits: who is talking to the man, Renfield, in the insane asylum? Who is his “master”? Yes, the reader knows it’s Count Dracula in the form of a mist or a pack of rats, but do we know why Renfield eats insects, wants a cat, or knows details about Mina that he shouldn’t know? Hmm…. This is the joy of reading Dracula one hundred years later. It is like unraveling the mystery of the early genre writer and reexamining the beloved horror story to discover insights into the makeup of a bestseller. Stoker will forever stand tall in the hall of both genre and literary fiction.